Though the SCOBY did appear to produce a baby, I was not sure whether the mother or baby were still alive, and so I decided not to risk tasting it. 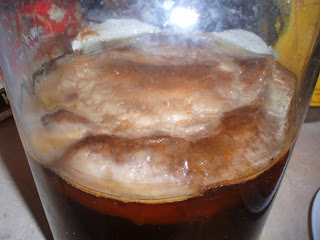 It may be necessary to brew a few batches of coffee-tea mixture in order to acclimate the SCOBY to the high acidity of coffee. Once I grow another baby SCOBY, I will try this. Have you had success with the koffeebucha since your initial attempt?